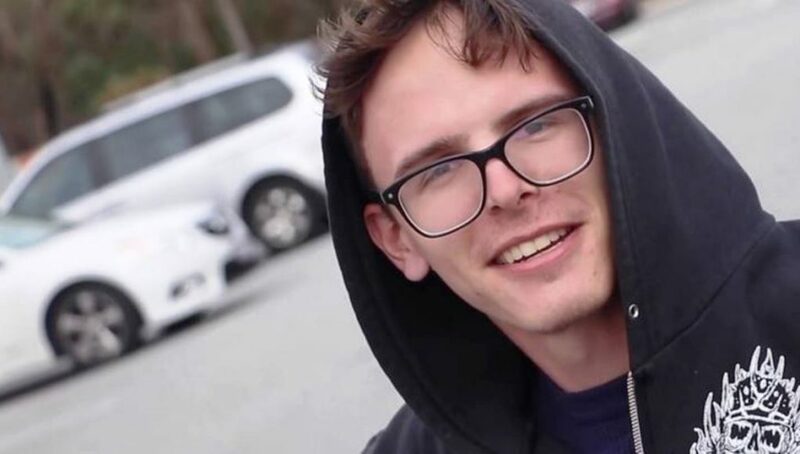 Home Media Personalities iDubbbz – Bio, Girlfriend, Age, Net Worth, Height, Wiki, Is He Gay? The millennial generation is the generation of the internet and its relationship with it has been worthy of academic study. From social media to startups, millennials, through the use of the internet, have been able to shape social culture and modern life as a whole and there is no better example of this than YouTube where popular content creators on the video platform are celebrated personalities in the media, such as names like Jake Paul, Logan Paul, RiceGum and Ian Carter, who is more popularly known as iDubbbz. Ian Carter, who iDubbbz as he shall be referred to henceforth has been able to command a sizeable portion of YouTube followership with over 7.3 million subscribers to his channel and over 1 billion views since he started his channel. His genre of YouTube content cut across comedy, gaming, and reviews. In this article, we take a deeper look at who iDubbbz is and his journey in the YouTube world thus far. Read on. On the 27th of July, 1991, a couple in Texas welcomed a newborn child that would one day become nationally known as iDubbbz. That child, was Ian Carter. He was born as one of three sons born to his parents but he never got to live the bliss of a happy family for a long time due to the fact his parents separated when he was young. The man who has come to be known as iDubbbz by millions of people is believed to have attended high school but details of that are at the moment unknown and there is no evidence of him attending college either. His education history might be a mystery to his fans and the media as a whole but the most important part of iDubbbz’s story began on the 18th of August, 2012 when he created his first YouTube channel, iDubbzTV. His attempt at starting a YouTube career did not record its first video until the 30th of August of the same month when he uploaded a video of himself playing a game, Overgrowth. For a while, he uploaded gaming videos until 2013 when he decided to start a series, Kickstart Crap. The series is the first of three series that have defined Ian Carter’s primary channel as a YouTuber. The second and third are Content Cop, where he mocks fellow YouTubers who go to extreme and controversial lengths to attract subscribers and channels to their channels; and Bad Unboxing which is dedicated to creating jokes and laughs out of some of his fan mails and strange gifts he gets. Outside of the content of his primary channel, iDubbbzTV, iDubbbz has two additional channels – iDubbbzTV2 and iDubbbzgames. Over the course of his YouTube career, he has partnered with other YouTubers like PewDiePie, Boyinaband, Maxmoefoe, and a couple more others. As one of the top channels on YouTube, Ian Carter’s channel, iDubbbzTV, which has over 7 million subscribers with a record of over 1 billion views since its creation in 2012, the channel is estimated to make between $3.2k to $51.2k per month and $38.4k to $614.3k per year. This earning potential has helped iDubbbz to a staggering net worth of $1.5 million. As someone with digital influence, he has also attracted sponsorships and endorsements, which has undoubtedly further contributed to his net worth. A video iDubbbz released on his channel in May 2016 may have sparked rumors of him being gay but there is nothing that could be farther from the truth about the YouTuber. He is very much a straight man and he is in a relationship with a fellow YouTuber, Anisa Jomha. Exactly how long both YouTubers have been in a relationship is a piece of information that is unknown at this point but they are believed to have met online in San Diego when Anisa, who was based in Alberta, Canada traveled down for a Twitch conference. The couple eventually met in person and have been in a relationship ever since. If the couple will one day head to the altar is a future we will have to see unfold but so far, the couple appears to be happy together, sharing their highs and lows as YouTubers. iDubbz has the look of an extremely young man, perhaps a teenager but he is very much an adult. His childish look is aided by a body height of 6 inches 0 inches. While his weight is unknown, Ian Carter has a lean figure with features like dark brown hair and blue eyes.